We would like to take this opportunity to say a big thank you to all of you, who joined us for the Landford Stone Annual Open Day. It was a fantastic day for all. We had lots of fun and a great turn out. We could not have done it without our partners that we work closely with, so thank you to all below for making the day so full of interest. With the cold winter nights drawing in, it’s a perfect time to update your fire heaths, with 100’s of OFF CUTs to chose from you can get the premium look at amazing low prices. Get in touch or pop in and see us. With Christmas just around the corner we are filling up slots in the diary fast, so to avoid any disappointment please do get in touch to book in advance and ensure your preferred dates. We are shortly off to the 2016 Stone Show in Verona Italy to look at new colours and quarries. At Landford Stone we stay in front of all the exciting ground breaking colours and trends to give you the very best choice in the UK. 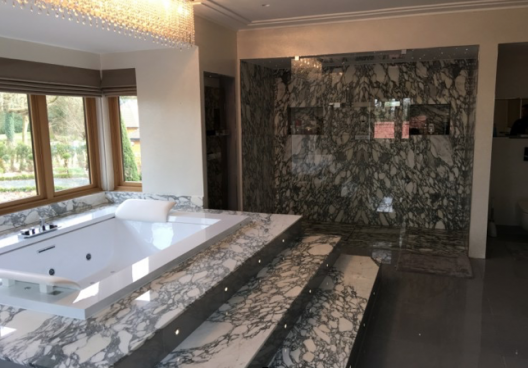 At Landford Stone we push the boundaries and accommodate any designs you have in mind, for bathrooms, kitchens and floors. Come and visit over 1600 slabs of different materials in stock. We welcome visitors every day and at Landford Stone there’s always something new to see and learn. Landford Stone always exceeding expectations.